Back in August 2016, I took the plunge and did a full face Ultherapy Skin Tightening Treatment and subsequently a Zeltiq CoolMinitreatment on my chin – all in pursuit for a reduced double chin, overall skin tightening and a more defined jawline. It’s been 9 months now and life has been seriously busy. That explains why I haven’t had time to update on my treatment progress. During one of my recent visits to Halley Medical Aesthetics, I thought I’ll ask Dr Terence Tan to take a photo just to see the effectiveness of the combined treatment. I’m really happy with the results! Results are best seen from 3 to 6 months after the Ultherapy treatment but I didn’t manage to go back for a review until recently. Although it’s already been 9 months since the treatment, and I have lost like 8kg (omg right?!) in the past 2.5 months, I’m pleased to see the results are still evident! Yes I’ve lost a lot of weight but if you look beyond that, you’ll see how my cheek is well rounded and doesn’t have the sharp indent after my cheekbones thanks to Ultherapy. And the jawline is LOVE. Look at the difference. The Zeltiq CoolMini treatment helped freeze away fat cells around my chin area and Ultherapy helped at overall skin tightening. 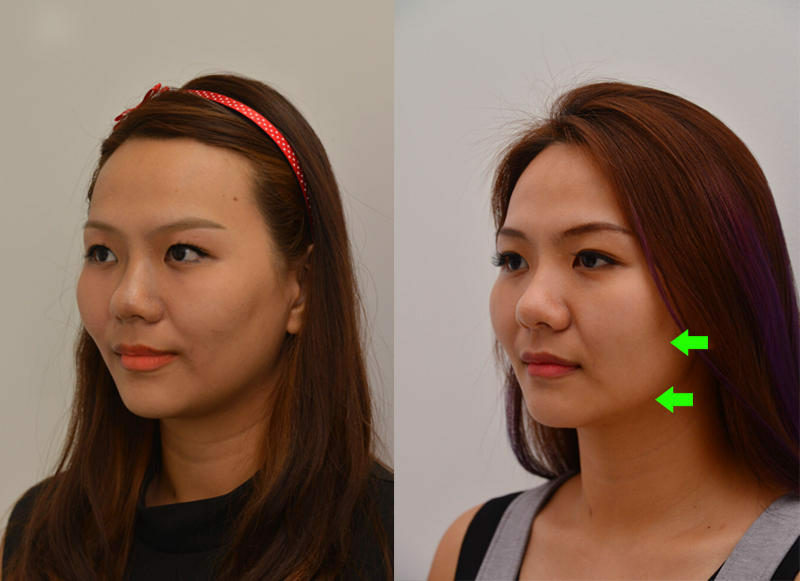 As the full face Ultherapy treatment with Dr. Tan also included the submental or the jawline area, resulting in a tightened and lifted appearance, the two treatments complemented each other very well. Both are non-invasive so you will need to be patient and wait for effects to show gradually after 3-6 months. Next Post This Hotel Jen J65 Buffet Dinner Is Not To Be Missed! Hi..can i know the cost for the coolmini and the untheraphy separately?